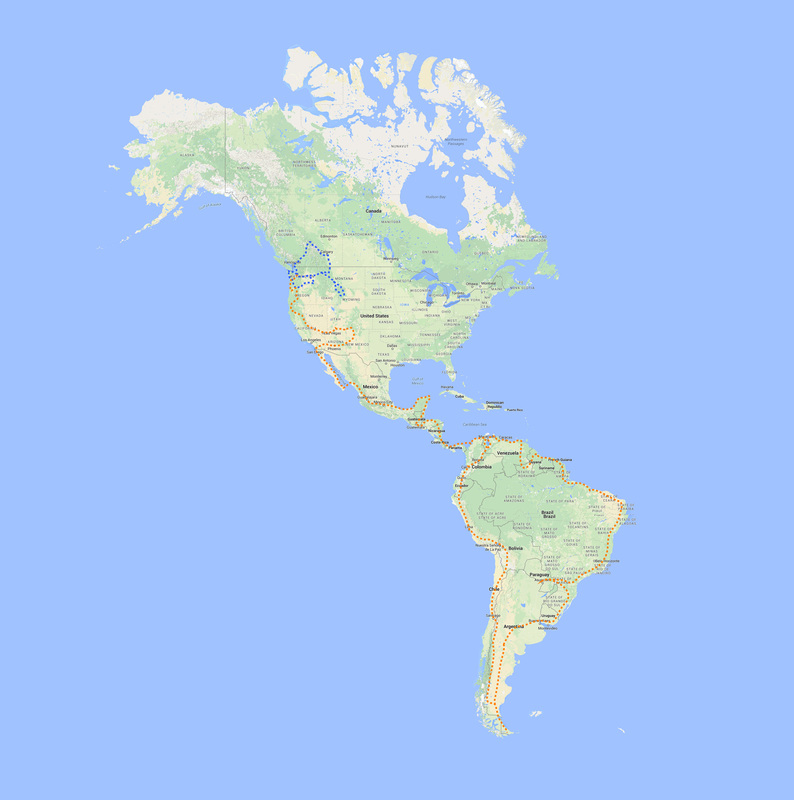 Our goal is to travel all 23 contiguous countries in the Americas. We have a very general idea of what the route could be. We are planning a flexible route for our trip but for the most part we'll figure it out as we go. Stay tuned! The blue dotted routes are our overland travels done in preparation for the long trip south. The orange dotted route is what we think our trip wanderings will look like more or less. View our real time route here.